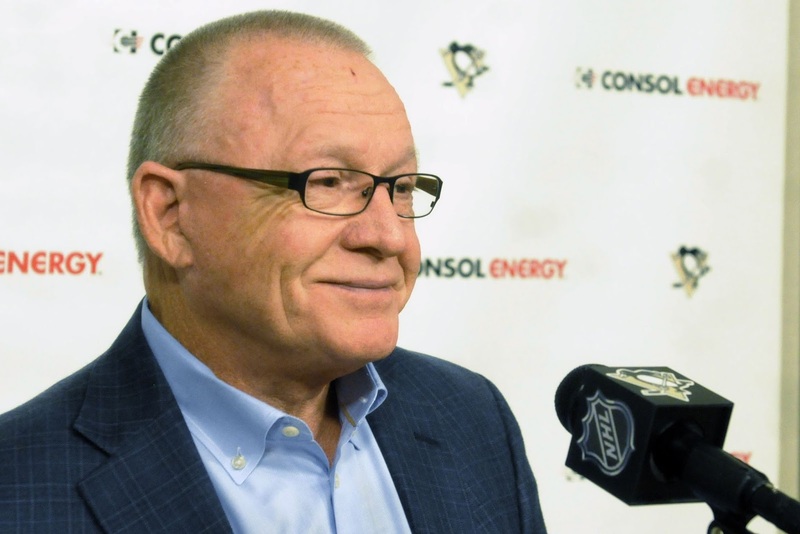 As the 2015 offseason unfolded, Rutherford and his front office had a clear agenda in mind - bolster the forward depth that had been such a detriment to the playoff chances of previous Penguins teams, and trust that the defense would be able to hold up their end of the bargain. In came Phil Kessel and Nick Bonino via trade. Matt Cullen and Eric Fehr were added via free agency. Even better, Rutherford corrected some of the mistakes he made the previous offseason. Gone were Nick Spaling and his $2.2 million cap hit in the Kessel trade, and he let Vancouver take on Branfon Sutter and make the mistake of extending his $3.3 million AAV contract with an even more onerous deal. Mostly, the offseason showed that if Jason Botterill or Bill Guerin weren't taking on a larger share of putting their mark on the team, Rutherford was at least more willing to listen to them. And while the start of the season showed that the defense wasn't able to play to an acceptable level, and that Mike Johnston was willing to go to extreme and counterproductive lengths to try preventing goals, it proved to be only a temporary problem. Out went Johnston, and in came Mike Sullivan - the man Rutherford had just hired to lead the Wilkes-Barre Penguins months earlier, possibly as a potential insurance policy on Mike Johnston as well. In a coaching performance worthy of the Jack Adams, Sullivan made a big systematic change and declared that offense, not defense, was going to be the primary focus. The talented group of forwards that Rutherford had assembled in the offseason were going to be allowed the freedom to keep the puck up the ice and allow puck possession to be the best weapon against the other team scoring goals. And to his credit, Rutherford did a great job of identifying good fits to the new on-ice outlook. The team actually was able to find a willing taker for Rob Scuderi, and Trevor Daley has managed to become and important part of the Pittsburgh defense after struggling during his first year in Chicago. Rutherford was able to flip struggling winger David Perron for Anaheim's struggling winger Carl Hagelin. Hagelin had been extremely productive with the Pens, and his speed has added a new dynamic to the team and has helped reinvigorate linemate Phil Kessel. And while Justin Schultz doesn't have as large of a role on this team as the other two, he has flashed some impressive offensive talents in his time in Pittsburgh with 8 points in 17 games and looks to be a good fit for what Sullivan is trying to do with his defensemen. It doesn't hurt to be lucky either, as the Penguins have gotten key contributions from players who started the season in the AHL and weren't expected to have much of an impact in the NHL this year. Tom Kuhnhackl and Bryan Rust have continued to grow into 3rd line roles in Pittsburgh, Conor Sheary and Scott Wilson have contributed throughout the lineup, and Matt Murray has been sensational while filling in for Marc-Andre Fleury. The ability to have young talent contributing the way the former Wilkes-Barre players have has made things a lot easier for a team that's short on tradeable assets, and they've also infused a hunger to the team that has been lacking in recent seasons. This team right now is the one Jim Rutherford was referring to last offseason when he talked about how he was going to make the Penguins better. It might not have gone exactly to script, but it's the deep group of forwards that can roll four lines, force the issue in the other team's zone, and get by with a defense that is lacking from a traditional sense. Sure, it's Mike Sullivan who has managed to pull the pieces together, but Sullivan was a Rutherford acquisition too. What's most impressive is that an old school GM has managed to build such a new age team, and one that's able to possess the puck at such a high level. Gone is the grit and toughness nonsense that Rutherford expounded after taking the job and in is a team that can out-skate anyone in the league. There have been reasons to criticize Rutherford before, and there likely will be reasons to criticize Rutherford again, but for now with the postseason approaching he's pulled all the right strings to put his vision on the ice and position the Penguins to be one of the favorites to take down the Stanley Cup.